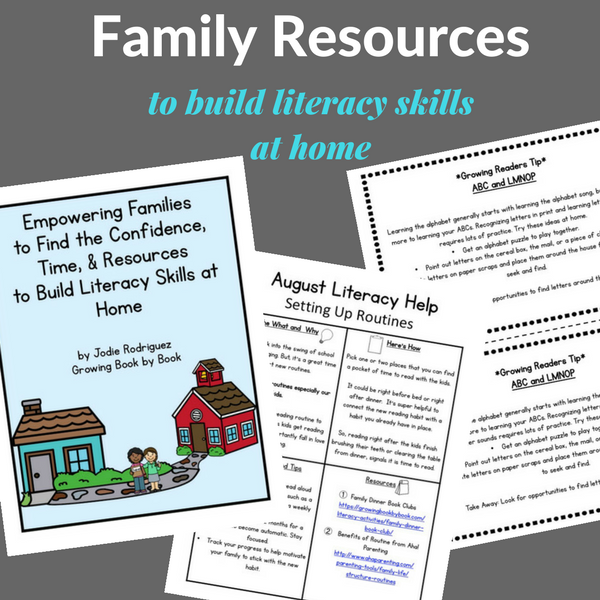 Providing ongoing family/parent communication to build literacy skills at home is important. But, you don’t have lots of time to spend creating newsletters, book lists, and videos to share with families that you work with each day. Empowering Families to Find the Confidence, Time & Resources to Build Literacy Skills is designed to help you communicate with families. We know that parental involvement in education is important and we want to do everything we can to encourage it. Monthly newsletters, weekly tip sheets, book lists, and recording forms are included for you to download and print. The resources are all in black & white to save you ink. Over 40 images with one sentence tips that you can share on private classroom social media accounts, via text, or email. Each weekly tip is also recorded in video form. You will receive a link to the video library of over 40 videos where you can share individual videos with families. This isn’t just a take it and leave resource. It’s a community of support for you. Get advice from other educators using the tools provided. Share what is working for you so others can learn and grow. Just print and share newsletters, tip sheets and book lists to send home. Or, digitally send home videos and image graphics. And, get ongoing support in our private Facebook group. Do you want to connect with and empower families? 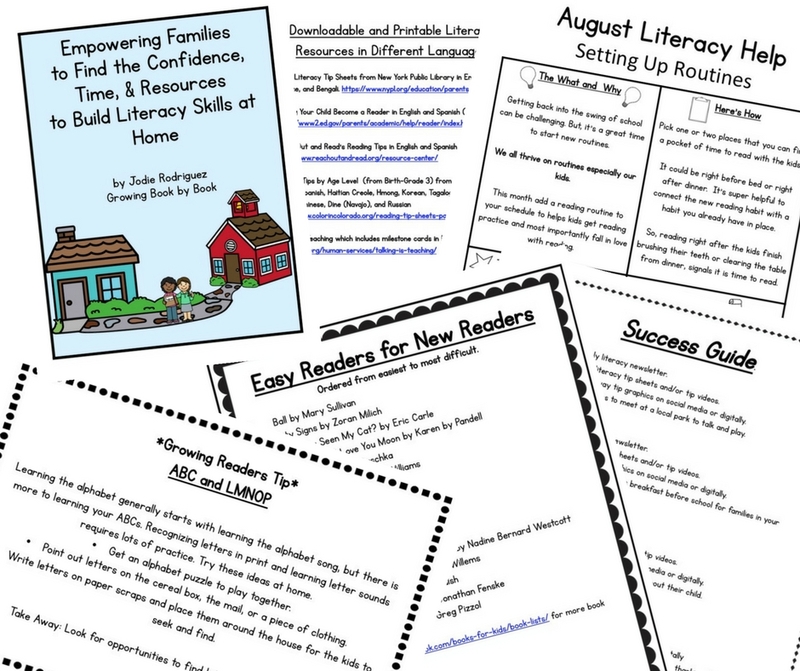 Your payment of $18 gets you a digital download of newsletters, literacy tips, and book lists that you can print and send home to families. 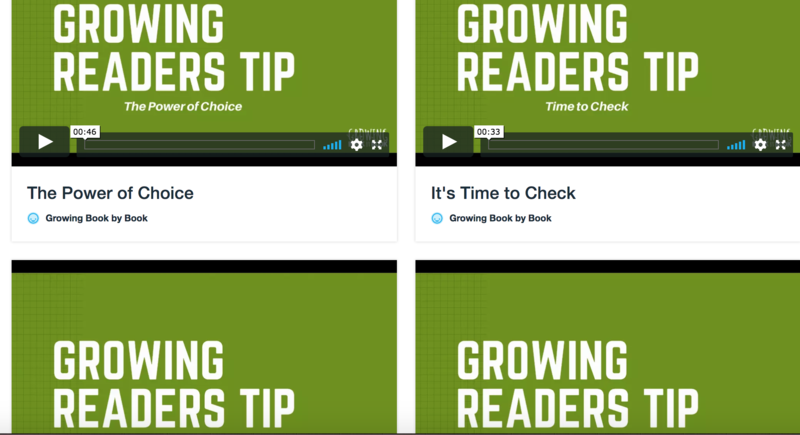 There are also links to literacy tip videos and graphics that you can share electronically with families. 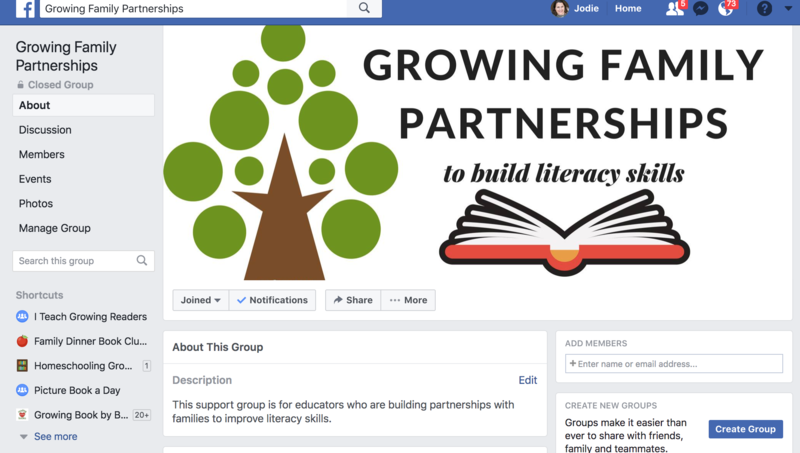 You will also have access to the Growing Family Partnerships community on Facebook where you can connect with other educators. 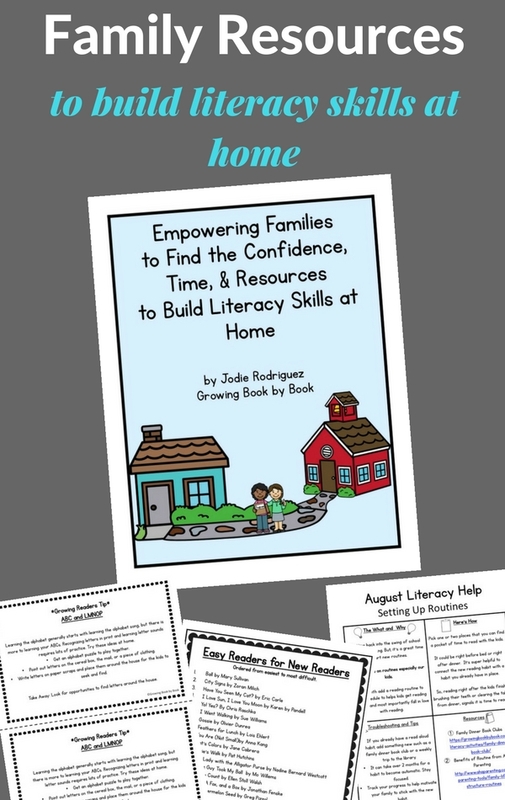 Do you want to partner with families of early childhood students and help them find the confidence, time, and resources to build literacy skills at home? If yes, then this is for you. The resources are ready for you to print and send home. A sample schedule for sending the resources is included. You can also text and share via private class social media accounts. This will free up lots of time to connect personally with families. Does it matter what grade I teach? The resources were created for early childhood settings. If you reach families with toddlers through first grade, then this will be of great value to you. How much do I have to participate in the Growing Family Partnerships community on Facebook? It’s totally up to you. I think you’ll have more support connecting with other educators who are working on building and connecting with families to build literacy skills. What if I work with families who don’t speak English? The printable resources are jargon-free, conversational, and are presented in bite-sized chunks. Videos will be helpful for families who are not fluent reading in English. A list of bilingual resources that you can access is also provided. How do the resources help families? 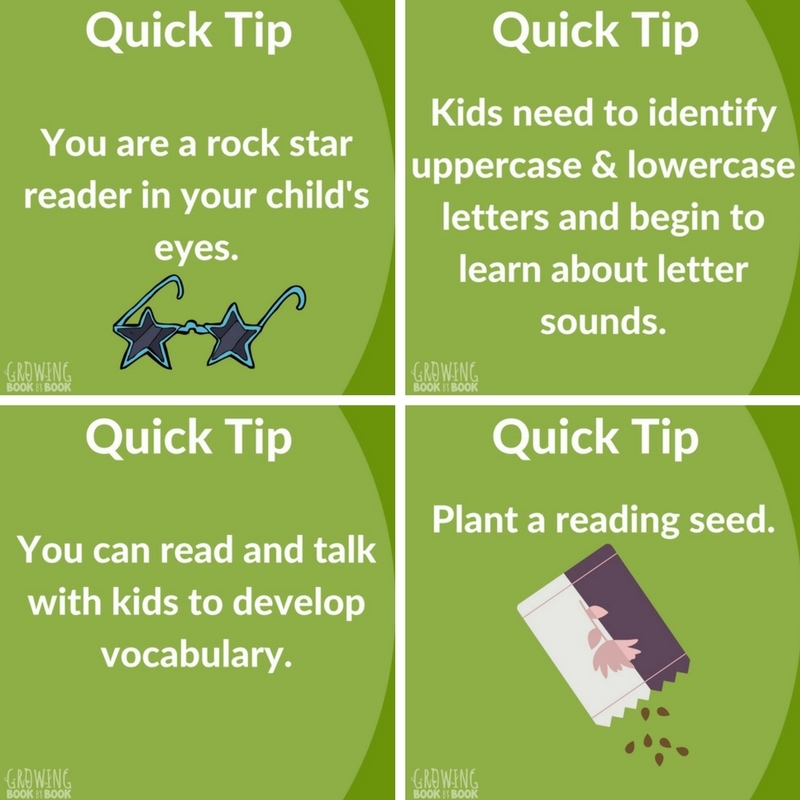 Each newsletter and tip sheet focuses on building early literacy skills. Ideas for finding time to read with kids, simple activities that can be done at home and on the go, and an understanding of what is developmentally appropriate at a young age are all covered.